Stud-welded, ergonomic, heat resistant, satin Bakelite handle with colour ring insert. 99,5% pure aluminium, 4006 alloy, with differentiated thickness between 2-3mm. 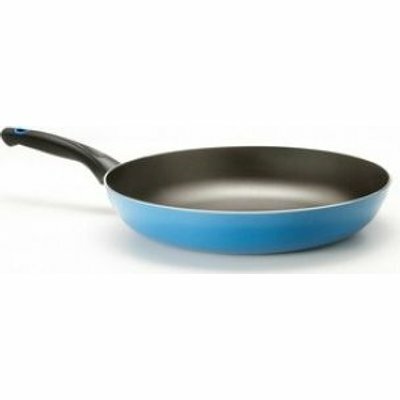 AM Salus Hard System non-stick coating, 5 layers. Outside coating in a silicone lacquer.